Argentine composer Gustavo Santaolalla’s powerful theme “De Ushuaia a la Quiaca” is used to stunning effect at the very end of The Motorcycle Diaries (2004). 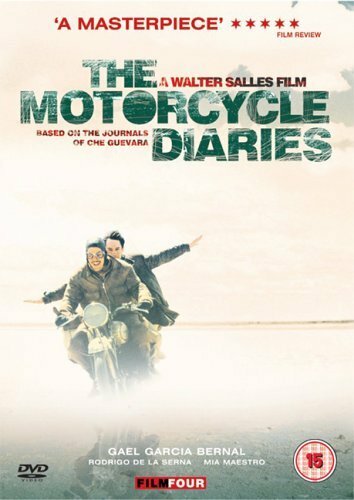 Based on Ernesto Guevara’s eponymous memoirs and on his companion Alberto Granado’s book Traveling with Che Guevara: The Making of a Revolutionary, the Walter Salles film chronicles the two friends’ nine month long and 8,000 km ride across South America. The trip really turns into a journey of self-discovery for the two young medical students whose world vision has thus far been informed by Greek and Latin classical literature. Travelling through the heart of South America gradually provides the protagonists with a better understanding of the continent’s complex social and political reality. 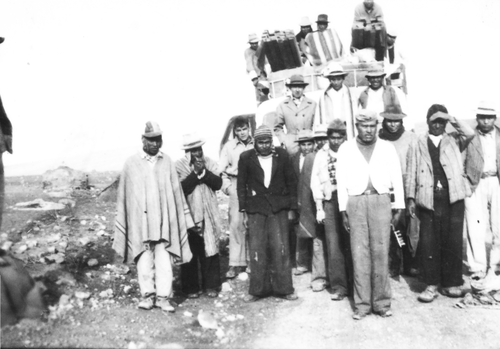 Echoing the aesthetics of documentary and humanistic photography, the film ends with a series of black and white portraits the travellers took along their journey starting with fictional portraits from the film and ending with real pictures taken by Ernesto Guevara and Alberto Granado as the credits roll…and “De Ushuaia a la Quiaca” plays. On that note, Russian film The Return (2003 – a journey of self-discovery for two brothers) mentioned previously in this blog also ends on a series of black and white pictures to a haunting soundtrack and packs a similar punch.